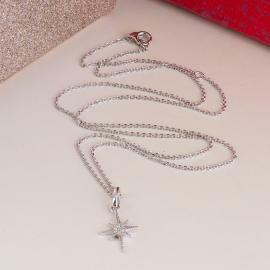 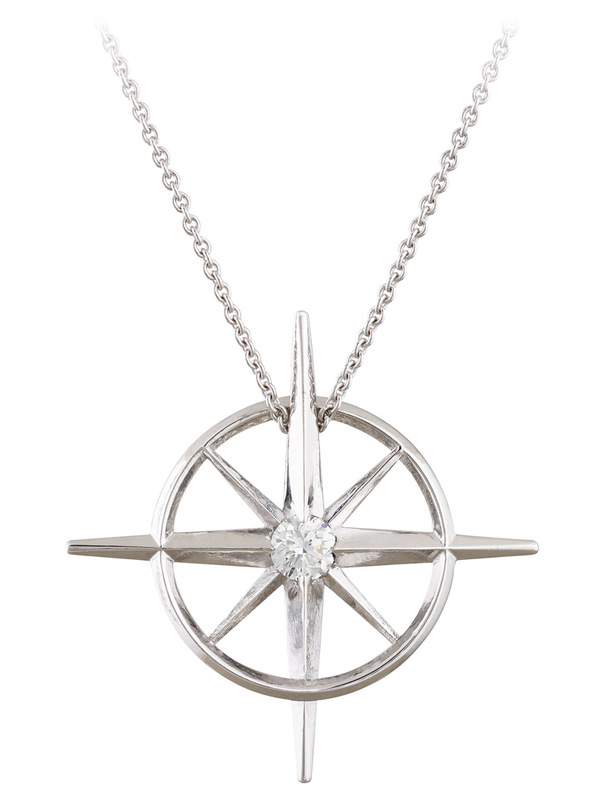 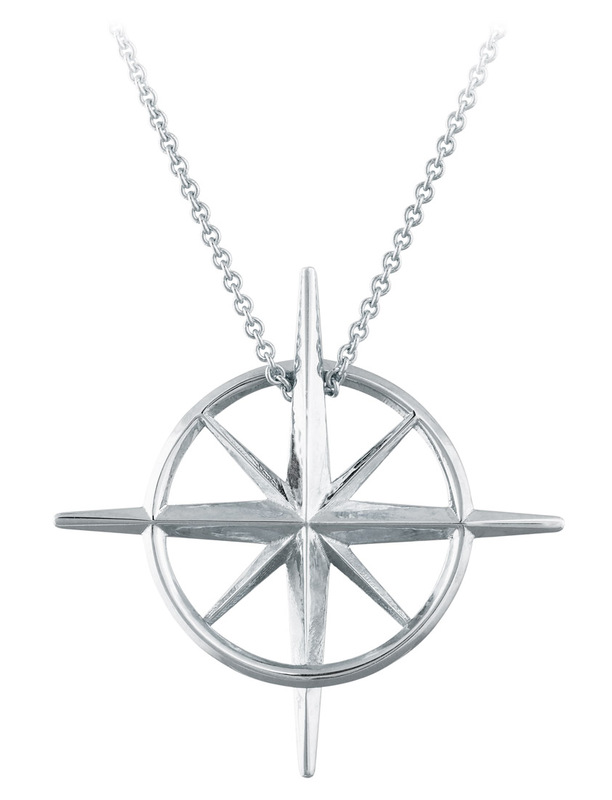 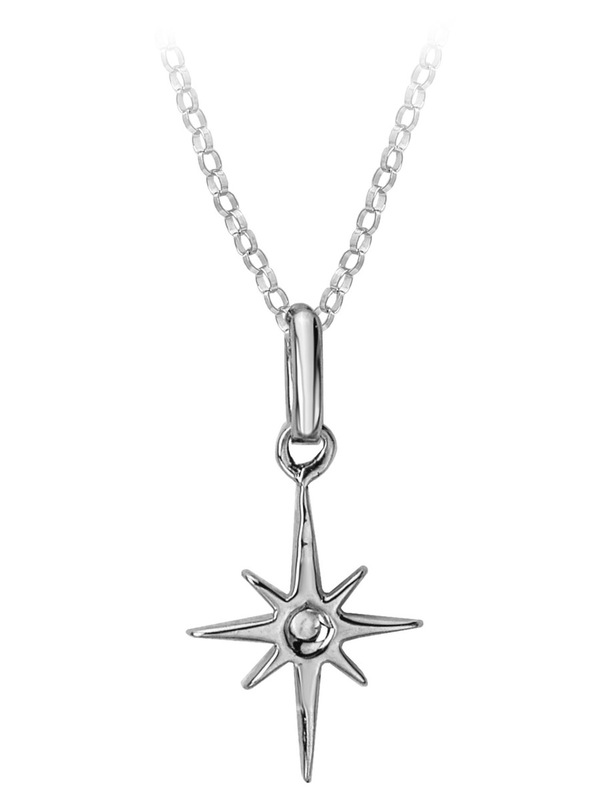 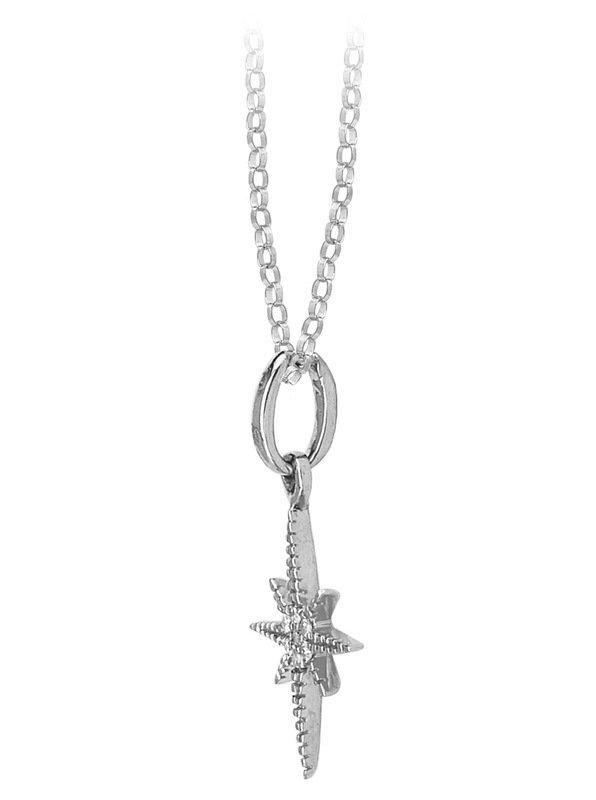 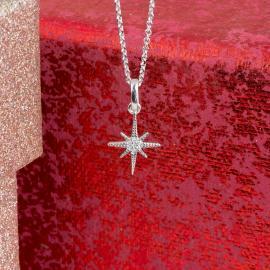 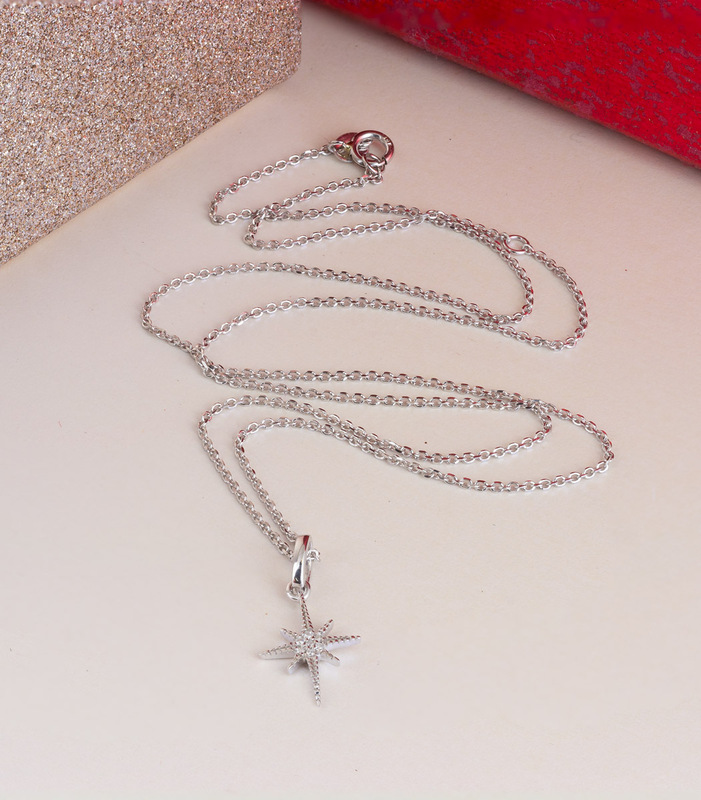 A simple and delicate necklace design with a shining North Star pendant. 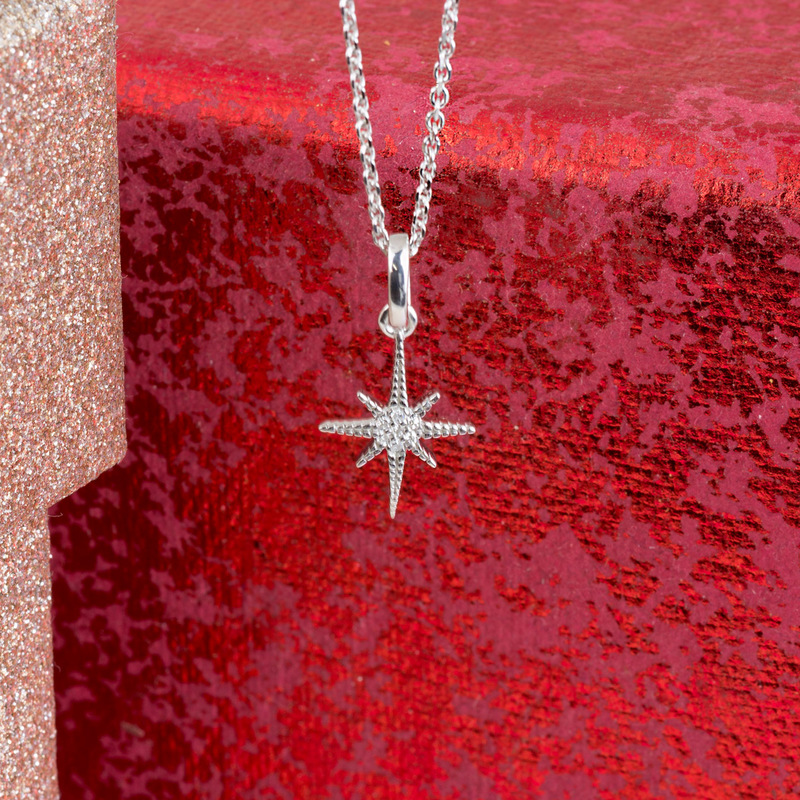 A cluster of small round diamonds sparkle from the center of the star. 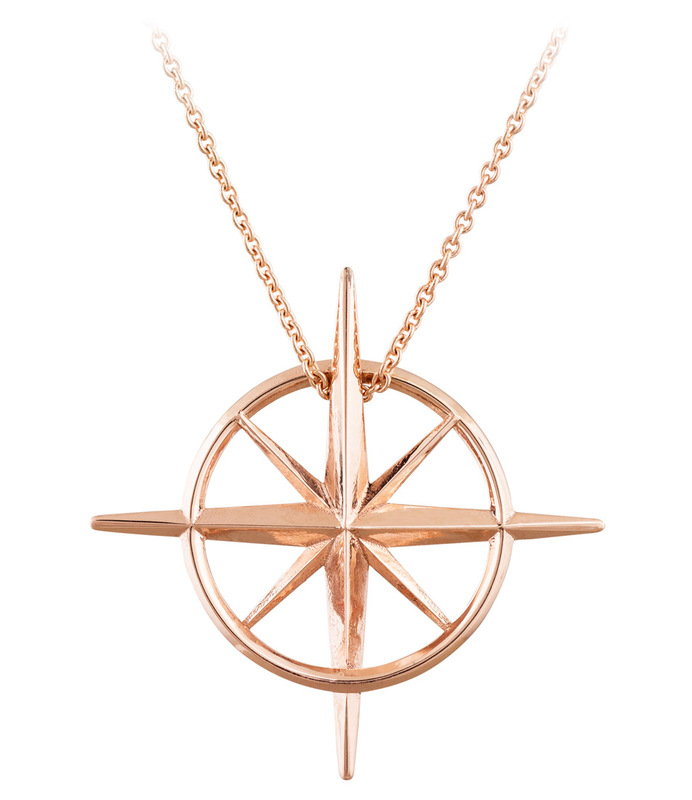 The necklace comes in both white and yellow gold options, and makes the perfect gift! 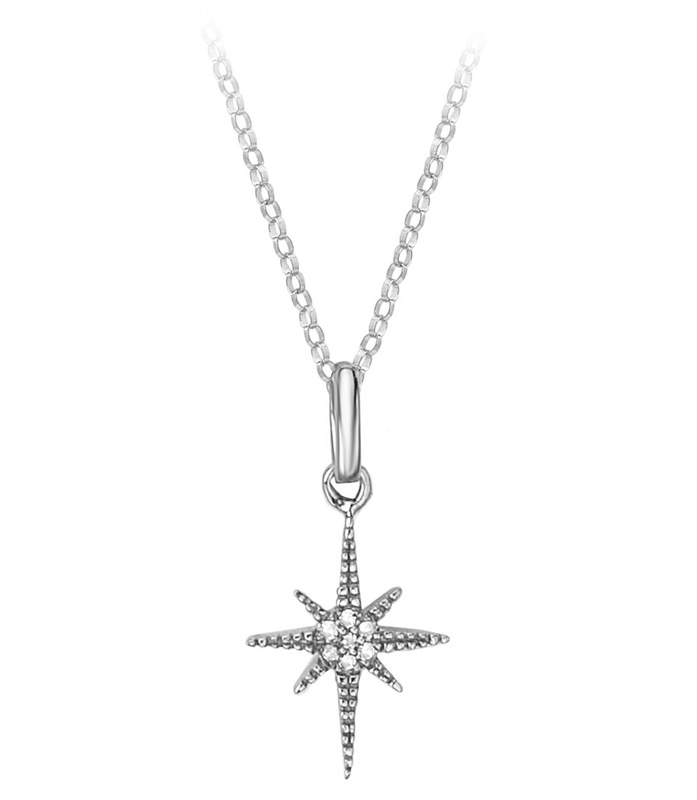 14k White Gold?, 14k Yellow Gold?